Texas fruits should have a good year despite a rough start, according to a Texas A&M AgriLife Extension Service expert. 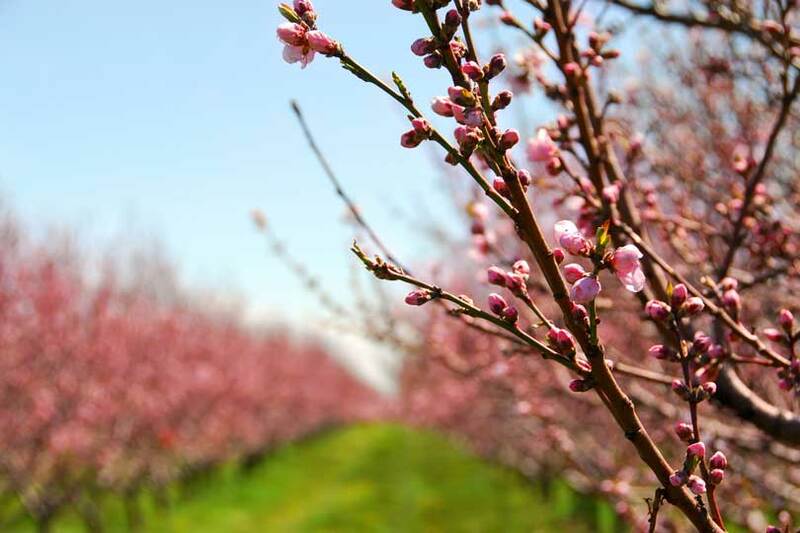 Several crops—such as peaches, figs, pears and strawberries—had to fight freezing temperatures last month, but those that survived are on track to have good sets, Dr. Larry Stein, AgriLife Extension fruit specialist, said. Some varieties did experience losses during the recent cold spell, especially early-season crops. Some areas saw temperatures drop below freezing for two consecutive nights, Stein said. Crops in those regions had to deal with temperatures as low as 22 degrees for multiple hours. Many Hill Country growers are feeling optimistic following the freeze, including Jimmy Decker, owner of Decker Orchards in Stonewall. Decker’s peach crop wasn’t impacted as much he feared during the cold weather. Open blossoms were lost, but many varieties were still in bud, which protected the crop. “We almost can’t believe that we still have a crop, but the crop appears to be—at this point—a really strong crop,” Decker said. The quantity and quality of peaches should be similar to last year, he said. While the freeze did take away some of the early peaches, it doesn’t really impact the quality of the crop. It’s possible the freezing weather actually helped growers by thinning out varieties, Stein said. There were some losses to strawberry sets near Poteet, but growers should still have plenty of fruit. Wine grape growers who waited to prune vines also came out ahead, Stein said. Growing conditions seem positive in East and Central Texas, but other areas, such as the Winter Garden area, are in need of rain.